Wilkins Chimney Sweep are passionate about their business and in 2015 contacted Spinaclean with a view to offer a new paving cleaning service to complement their chimney sweep company. As a result of this both Peter and Louise Harris, owners of the business, along with one of their franchisees attended a Spinaclean Training Day. After purchasing Slip Stream Pro paving cleaning machines, they spent the next year gaining experience in the sector. Since the training day they have incorporated paving cleaning into their business, a proven concept, and now offer this extra service out to their franchisees. 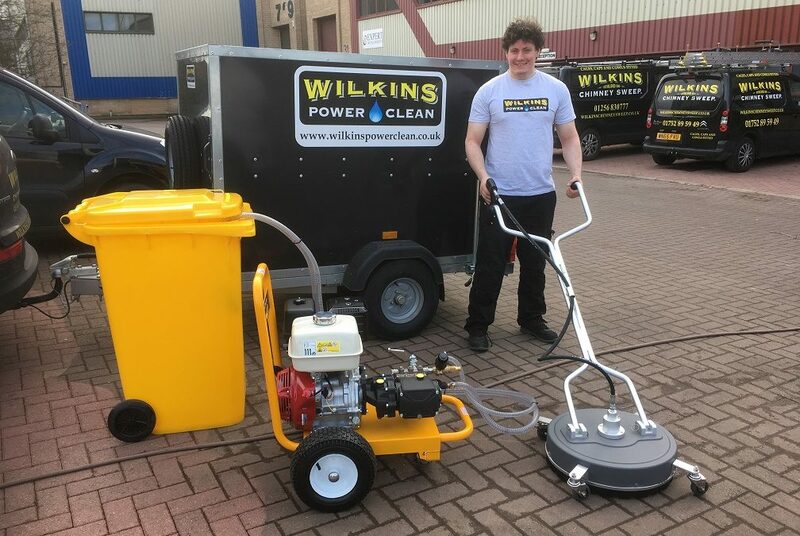 It was an honour to carry out another hands on training session with the Wilkin’s team at the Spinaclean head Quarters in February this year, with the first three franchisees taking up the Wilkins Power Clean option.